Yesterday my little sister hit the double digits. Since she received a sewing machine last Christmas, I thought I’d put together a little sewing starter kit for her to hopefully get her inspired. 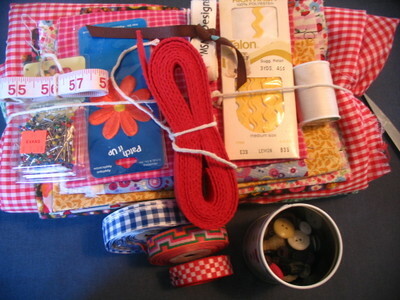 I included some fabric from my stash, ribbons, notions and even some cotton tape with her name on it so that she can tag her creations. The fabric for the bag is from an IKEA table cloth–a nice heavy cotton twill. When I brought it home, it was way too big for my little table (which I knew when I bought it), so half became a re-sized tablecloth and the other used for the bag. 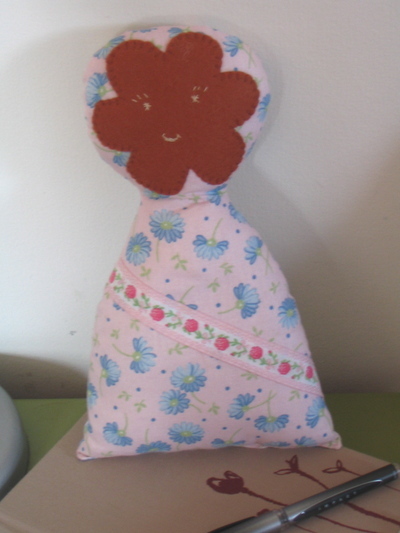 And this doll came from Mirre at Kisskus. My girls love it (I think I love it more). It is the perfect hug-ability. And of course, there’s no sharing with these kinds of things in this house, so we’ve already swapped for another. She sells them via her shop, along with some other sweet baby toys. Your package arrived today, Molly!So unbelievably quick and so LOVELY! Thank you! What a great gift for your sister!! Good thinking!! I’m glad your package made it and that you liked the earrings. I had fun making them for you. 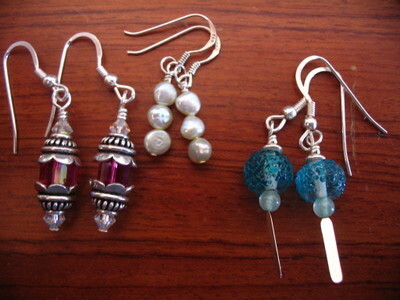 The buttons are a bit difficult to photograph… something about that black Czech glass. Enjoy! So you beat me to that Poppe!I wondered where she went.Lucky you.The bag is a great idea. um…will you be my sister? I love the sewing kit! How cute! Aren’t IKEA tablecloths huge! I did the same thing with a pale blue one I bought last year.Happy birthday to your sister. What a lovely idea for a birthday present. Very thoughtful and of course it’s just gorgeous 🙂 What a lucky little sister you have! I sooooo wish we had an Ikea near where we live. THe nearest is 3 hours away! What a lovely sister you are. Love that sewing kit idea – brilliant ! What a nice gift that makes. 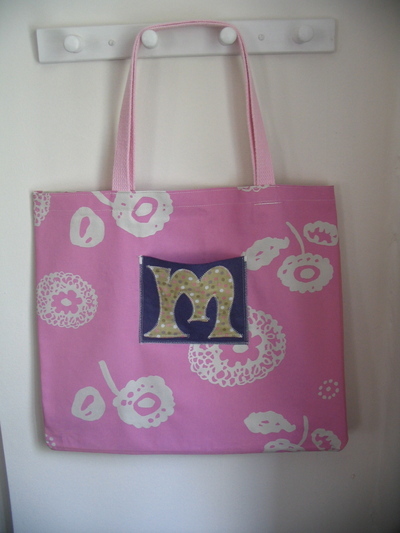 I have the same fabric used in the M of the bag! I love that fabric so much that when it went on sale I bought the whole bolt. Yeah, I went nuts, but I still love that fabric. how did you put your sisters name on the fabric tape? 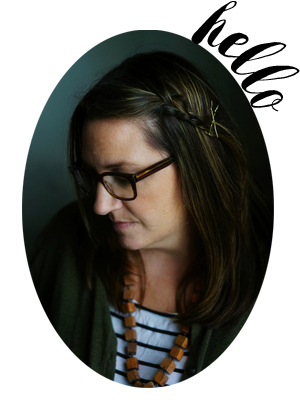 i’ve been trying to figure out the best way to do this…. Previous Previous post: Managing the bog.